There can surely be very few better places to take a helicopter flight than Dubai. Whatever your opinion of this glimmering oasis in the desert, there’s no denying the sheer scale and ambition on display here - no wonder they call it the ‘city of vision’. Taking off from the Dubai Marina helipad, this 20-minute flight will captivate you, and have you glued to the windows, as you gain spectacular aerial views of the Burj Khalifa - the tallest building on the planet; the World Islands, the Dubai Creek, the Wind Towers, and much, much more. During your helicopter flight over Dubai you can contrast the gleaming skyscrapers that it’s famed around the world for, with the traditional areas of Old Dubai, and the Dubai Creek. Admire the beauty of the Jumeirah coastline, the Burj Al Arab, and the Palm Jumeirah as you soar above the streets, the heat in the air making the skyline shimmer. 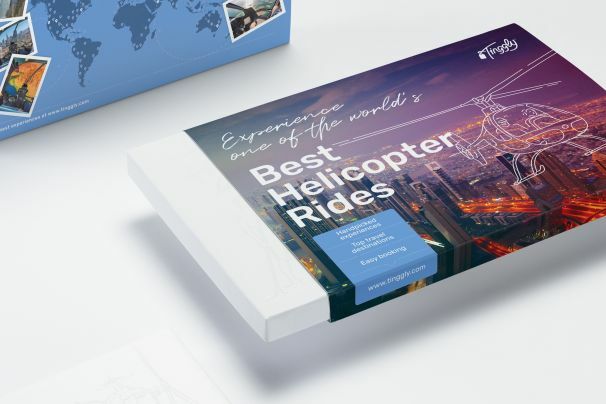 Comfortable, well-appointed helicopters and professional pilots ensure this is one Dubai sightseeing tour you won’t want to miss.